This epic work tells the story of the Hemingses, whose close blood ties to our third president had been systematically expunged from American history until very recently. 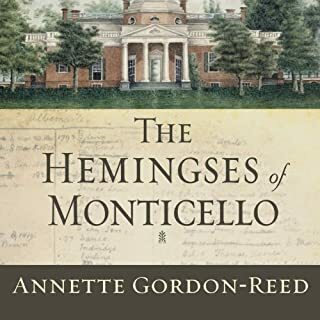 Now, historian and legal scholar Annette Gordon-Reed traces the Hemings family from its origins in Virginia in the 1700s to the family's dispersal after Jefferson's death in 1826. It brings to life not only Sally Hemings and Thomas Jefferson but also their children and Hemings's siblings, who shared a father with Jefferson's wife, Martha. At the urging of his wife, Elizabeth, the Duke of York (known to the royal family as "Bertie") began to see speech therapist Lionel Logue in a desperate bid to cure his lifelong stammer. Little did the two men know that this unlikely friendship - between a future monarch and a commoner born in Australia - would ultimately save the House of Windsor from collapse. As enjoyable as the film, and then some. ©1948 Dumas Malone (P)1998 Blackstone Audio Inc. I downloaded this volume not with little trepidation having read the negative reviews. THANK YOU to the one reviewer who gave it five stars encouraging me to make the purchase. This work is a masterpiece. Of course it contains mountains of information which to some listeners may seem a little dry,at times but this is a six volume project afterall. I found all the information pertinent to the story of who this man was. I never knew he had a quite compassisonate view regarding the crime of beastiality. (I never knew he even had a view regarding that) but it comes out in the review of his legislative work for Virginia. And the description of the special status and treatment of several captured war enemies ties in with the present situation of special status criminal in our present war. The narrator is excellent! It's true that she tends to swallow the end of some of her sentences, but never to the degree that I couldn't undertstand the words. Her cadence, intonation and pronunciation I found to be right on target. This is a very thorough biography which I found thoroughly enjoyable. I'm tempted to not wait until my next monthly credit and go ahead and purchase the next volume now. I like others almost did not purchase this book due to comments about the narrator and storyline. A good lesson not to listen to others. Having consumed around 40 historical audiobooks this year alone, I found the narrator very able and in about the top 1/3 of the narrators to whom I have listened. I don't know how others perceive the comments left here but the argument appears to stem from scholarly disagreement. I learned long ago not to embroil myself with the pedantic battles of academia. The information is detailed but in no way boring if you are a fan of history. Highly recommended. 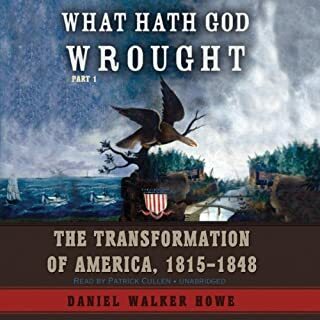 Not a biography for those who don't bring a strong knowledge of the late 18th and early 19th centrury to the table, this six-volume series provides an insightful view of an amazingly complex man. 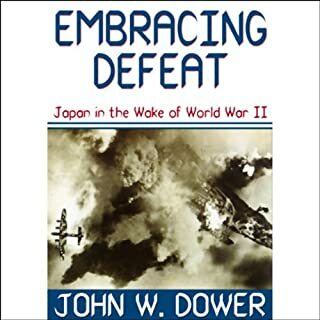 As others have noted, the author does inject considerable opinion amongst the facts, but these are generally easy to identify and do not distract from the biography. Case in point: Malone spends some time attempting to debunk the rumors (at the time) of a Jefferson/Hemmings sexual relationship. Obviously, based on further research and scientific evidence brought forth in the waning years of the 20th century, his opinions on this topic were clearly incorrect. However, this is still a great work which gives the reader a full picture of breadth and depth of Jeffersons personal philosophies and details the political relationships which formed his views and actions. Well worth the investment of time and money for these volumes! Dumas Malone's classic biography is so full of detail and well-documented anecdotes about this life (and pre-life, as there is a fascinating account of Jefferson's genealogy as well) of our founding father that it seems petty to complain about the reader. But her voice is hardly above a mumble at times, and she pronounces the same words differently as she goes, so I have to voice this protest. I have listened to her read the first two volumes of this biography and I don't think I can continue through the next four with her, though the periods of Jefferson's life they cover are the most eventful and the most interesting to history. I think I will read the next volumes out of the library rather than continue with this narrator. I enjoyed the facts on early Virginia history (I live and went to school in Virginia) and the early colonists and pioneers of our state, and on Jefferson's education and love of horseback riding and his boyhood friends. I went to the University of Virginia myself and the worship of Jefferson there is still alive and well. I highly recommend Dumas Malone's masterwork but cannot recommend this narrator. I hope I'm not sexist in saying so (she's the only female narrator I've heard so far on Audible), but she needs to improve her abilities if she's to capture a following among the otherwise very talented Audible narrators. Listen to the sample first! I purchased all the volumes of Thomas Jefferson and His Time after listening to the EXCELLENT John Adams by David McCullough and His Excellency: George Washington by Joseph Ellis. 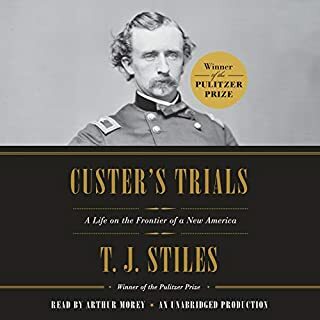 I noted Mr. Dumas' book won a Pulitzer Prize, and eagerly looked forward to listening to another great presidential biography. I have no doubt that Mr. Malone is THE Thomas Jefferson expert, but his style is so scholarly and dry. His book is cram full of his opinions about Mr. Jefferson's statements and actions. For someone who knows all about Thomas Jefferson ALREADY, Mr. Dumas' opinions would be meaningful (and I'm sure insightful). But they meant little to me because I wanted to hear Mr. Jefferson's biography. So I did not understand many of Mr. Malone's references. It was like coming in on a conversation where you know nothing about what the people are talking about. 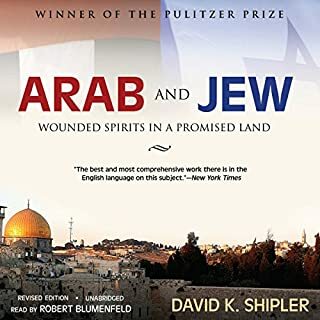 I strongly urge you to listen to a sample before purchasing this audio book. Ms. Anna Fields has a beautiful, melodic voice -- but her tone of voice comes across as someone reading to kindergarteners. I felt she had an almost arrogant or sarcastic tone of voice. I am an avid Audible fan, and will tolerate almost any writing style, narrator voice or dry content. But after trying to listen to this book for 2 months, I am completely giving up. I wish I had purchased only one volume before investing in all the rest! How can an audio book this long be interesting? That was the question Mr. Malone answered through deep and complete treatment of Thomas Jefferson as a Virginian, leading up to the time of the Declaration. The thoughtful background and treatment of TJ's role in the government of Virginia is fascinating. If you have a passion for learning all you can about these times in our history, I have not heard any better than Mr. Malone. On to volume 2! I've read enough about Jefferson to have become intrigued enough to tackle these long volumes. Just through one but I don't yet see where I can agree with any of the complaints. I think Malone gives credit where it's do and doesn't seem to back away from criticism where warranted. I feel many times people have an opinion of someone based on pieces of information, not the entire picture, and unfortunately at many times misinformation and are unable to study a subject with an open mind. Prejudices are deeply rooted enough to cloud their judgment and impede an unbiased review. As far as the narrator, I enjoyed her tone and tenor, I don't think she ever "swallowed the ends of her sentences" as some have suggested, I think she's done a fine job. Now on to volume II. At last, someone finally took the time to assemble significant primary documents to tell the early life story of TJ with more fact than opinion. Perhaps this book is better read than heard, so the footnotes & references are at hand. My only complaint is the narrator mispronounces several prominent names,which made me cringe over and over again. At least she got Taliaferro correct, although Fauquier & Burwell are butchered. This is still a great listen and the narrator does have a pleasant & interesting voice. I'm looking forward to the last two volumes. I was very disappointed in the book Thomas Jefferson and His Time, Volume 1 by Dumas. 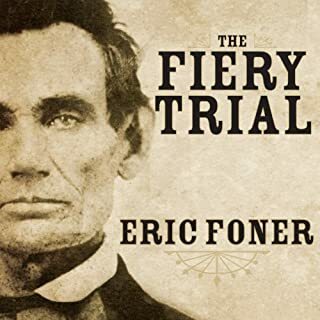 I have listened to many audio books and many historical books and I rate this one low. 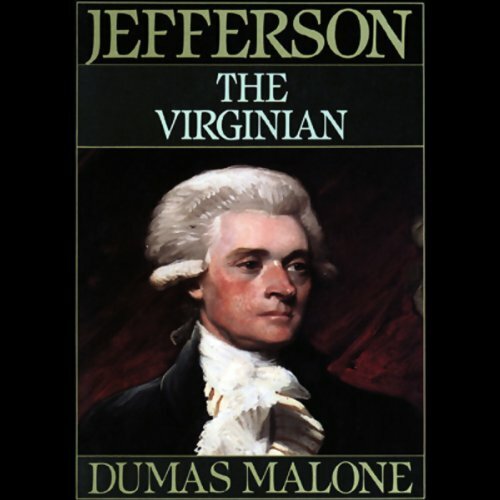 Dumas has a biased view of Jefferson and the history he covers. He continually overlooks or passes over controversy in Jefferson’s career and fails to analyze this man and his actions in a critical light. Instead, we see almost a god like Jefferson who can do no wrong. He credits him with influence in legislature and documents that in context appears his peers didn’t credit him with, and essentially views the history through the vision of modern day awe. Another criticism is Dumas failure to quote from many of the documents in length to give a broader view of Jefferson’s style, and instead talks of the mood he must have been in when he wrote the document or letter. Overall, this book was a non-objective, biased view of Jefferson and the history of the era. The book was difficult to finish. It is unfortunate that this fine series was narrated by Anna Fields. Although she has a pleasant enough voice, it is spoiled for me by the drop that so often occurs at the end of her sentences. The drop is severe enough as to make the words frequently unintelligible. I will not be downloading or listening to the rest of this series because she is the narrator in all of them. Too bad!